This layout is not about old friends, but about getting old friends and family together. This picture was from "Pie-Fest" earlier this holiday season at my Great Aunt Meridee's house. We got to reconnect with my second cousins and Zoe spent the entire night playing with her third cousins. Not too far off from that event, tonight, we had dinner with our dear friends, the Stauffers. We are thrilled to have them so close again. Their boys came over while they unpacked, Zoe was asking all morning, "Are they here yet?" We had some dinner and dessert and let them get back home to bed and/or more unpacking. I can't think of a better way to start off a new year. Thanks to my sweet husband, my craft room is a disaster. And I don't mean that sarcastically. He build my Ikea Expedit bookshelf yesterday, so I have been busy organizing and sorting all my craft stuff to put back in it. I also started on my Valentine's Day decor, but I think I will hold off on sharing that until we're a little closer. Love this page Holly! The color palette and design are striking- love how you placed the title too. 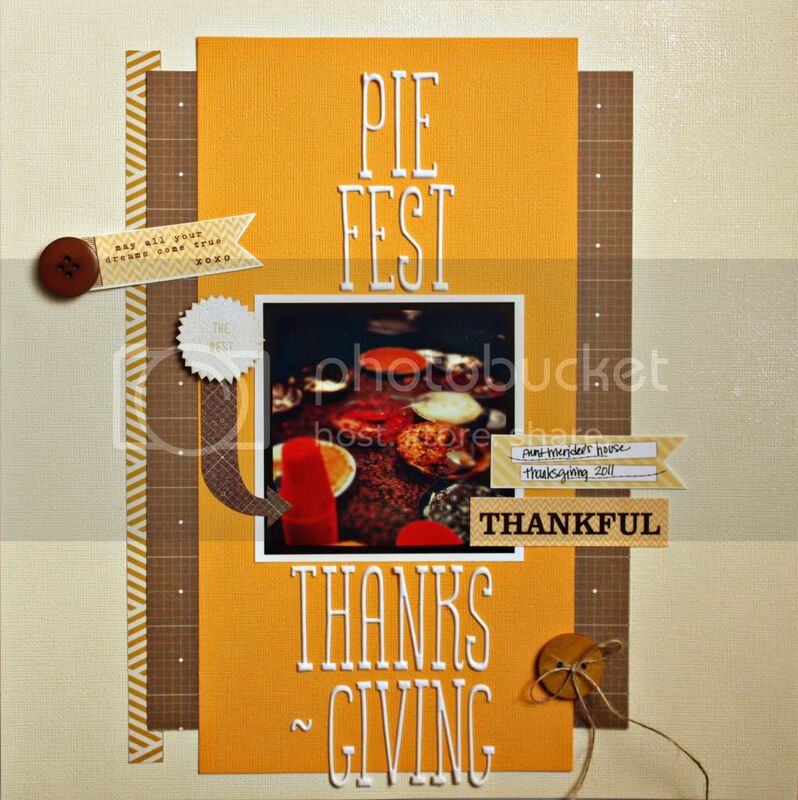 Piefest? Ohh you mean heaven on earth! I dig it.